There may be days when you get up in the morning and things aren’t the way you had hoped they would be. Times when you try so hard to smile on the outside while you are dying gradualy on the inside; today is such a day for me. It is during such times that you shouldn’t give up. That’s when you have to tell yourself that things will get better, just like I am telling myself today. I can try list all possibilities but I will not manage to enumerate them all. 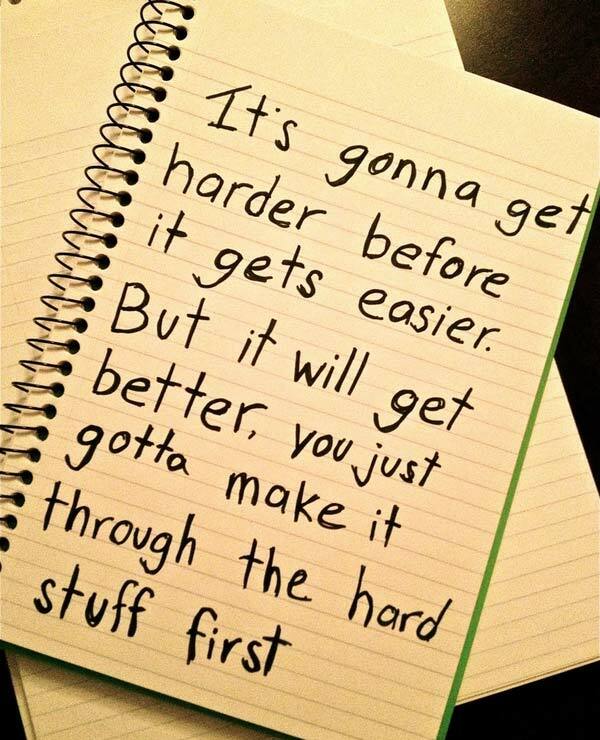 Only you know what challenges you are going through right now. Only you know what is discouraging and disappointing you at this point in your life. However, no matter what you are going through, those are the times when you must never give up hope. Those are the times you need to focus on your life and believe in yourself more than ever before. Why do I say this? Because no matter what you are going through, every problem has a solution. Every question has an answer. Just because you do not have the solutions today does not mean you will never have them. This is not the end. I say it's not the end because today’s test will bring tomorrow’s promotion. Today's hardwork will bring tomorrow's breakthrough. Today's tears will be tomorrow's cheers. But this will only be achieved, if you don't give up. 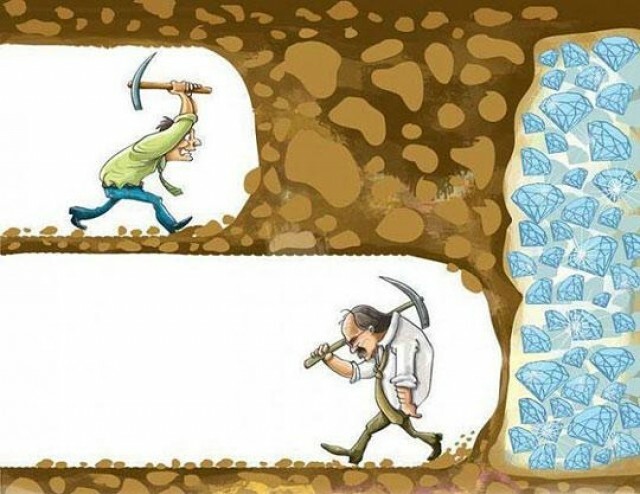 Many of us give up when we are so close to that breakthrough. We forget how long we've held on, and why we held on in the first place. We give up when we are so close to getting the treasure, like the guy in the picture above. You cannot manage to hold on when things are tough when you don’t tune your mind to the right frequency. You need to tune your mind to be positive. You need to start being positive. You need to be strong and believe strongly that this is just but a temporary situation. You also need to remember that it is during this time when you are discouraged, down, defenseless and almost falling that many will try to ensure you stay down. Please do not let yourself fall because if you do, they will step on you and finish you. So keep growing stronger every day. Trust in God. Stay on truck and don’t divert. Stay focused. Be very positive minded. Be determined. When you do, the darkness that is currently enveloping you will be over. There will be new opportunities that will emerge for you. And your light will shine again stronger and brighter. And you will flourish and be successful even in the hardest and toughest situations. Desire to Realise the Expectations and Aspirations that Motivate you. Starts with the Desire, and ends with Motivation. Thanks for this Motivating piece; it is as timely as it is refreshing.